Do you have an old, damaged, or unwanted car just lying around in your garage? Then I’m sure you know how much of a bother it can be. The space that it currently occupies can be used for so much more. From weekend barbecue parties to small get-together with friends, your garage holds a lot of potential. So what should you do about it? Surely you can’t just throw it away, right? Well, today we have some good news for you. We at Car Removals Melbourne can remove your old car for you! “For how much?” you may ask. Here is another good news: we offer our Car Removal Melbourne services for absolutely free. You read that right. In fact, you can turn your old and unused cars into cash. Our Car Removal Services Melbourne team can help you get rid of your old car today. It doesn’t matter what model, make, type, or age your car is. We will still take it. Whatever condition your car is in; whether it is in running condition or not, we will give you cash for your car. We are proud to say that our free Car Removals Melbourne is the best in the city. With over 10 years of experience in the car removal and junk car wrecking industry, you can be confident that we have the skills and reliability to do the job well. If you want to avail of our cash for cars Melbourne services, call the Car Removal Services Melbourne hotline at 03 9108 1090. Once connected, all you have to do is tell us all the details of your old car. After that, we will provide you with a quote regarding the value of your car. How do we do it? We at Car Removals Melbourne use a cutting-edge software that is programmed with complex algorithms which allows us to know your car’s latest value. Rest assured that you will get the highest appraisal in the area, thanks to the latest technology we are using. Why Choose Car Removals Melbourne? You may be wondering, “Why should I sell my old and unused car to your company?” First of all, when you sell your vehicle to us, not only will you get a free of charge scrap car removals service, but you can easily get as much as $8,999 for doing it! Second, once we are finally done removing your old car from your garage or property, you will immediately realize that you have so much room to utilize as you wish. What used to be a practically unused space can now be turned into a party place, a space to store your other stuff, an outside dining room, or you can even set it up as a small work and business area. There is certainly no disadvantage in using our free old car removals services. Instead of letting your old car accumulate dust and rust, just let us get rid of it and we will pay you in cash, right on the spot! 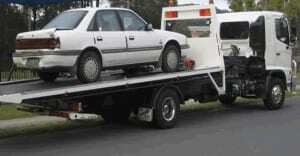 You do not even have to do anything other than call our Car Removal Services Melbourne hotline. Once we agree on a quoted price for your vehicle, just tell us your exact location and we will come to you. If you live within the city of Melbourne or in any of the surrounding nearby suburbs, we will simply set a specific date and time – one that is convenient to your schedule, of course – and we will pick up your vehicle on the same day. Our Melbourne Car Removal service is easy, fast, and most of all, it’s free! So pick up the nearest phone now and call us at 03 9108 1090. Moreover, you need not worry about having to spend money to pay for a different towing company to tow your car away. 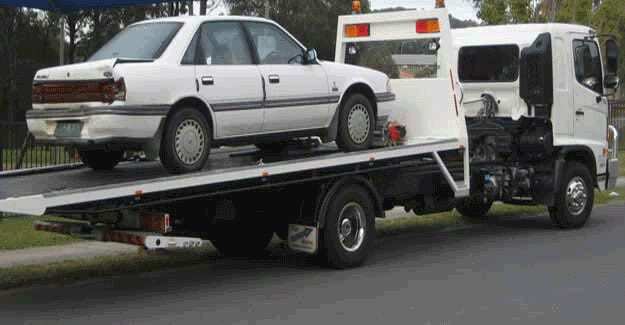 We at Car Removals Melbourne have our very own towing vehicles that will head over to your place to take your scrap car to our junk yard. Out scrap car removals Melbourne team specializes in finding the highest value for all types of scrap vehicles, which include cars, 4wds, vans, utes, trucks, and even boats. Once you agree with the quoted price, our Melbourne Car Removal team of professionals will give you cash on the spot. You can receive as much as $8,999 for your old car! It’s super simple! Call us, give us the details of your car, set a date and time, and just wait for our team to arrive. RWC failure? Car no longer in running condition? Or do you simply have an unwanted car you want removed? No worries! We will give you instant cash for your scrap car. Not only are we committed to giving you a fast and friendly service, we are also the best specialist in the field. We own the largest network of leading vehicle recyclers.